I recently made a new art friend.... Becky... and she drove to Daytona with me so we could meet and take Roben-Marie's class. ...LOL!!!! Can you tell which hand is mine? Well, those who know me...know I'm the messy hands kinda girl!!! The other hands...(after spending just as much time as me playing)...are Becky's!!! Such nice clean hands!! LOL!!!! Yumminess....all kinds of papers I made. I even got to meet one of my IG friends in person. She was taking the class as well. 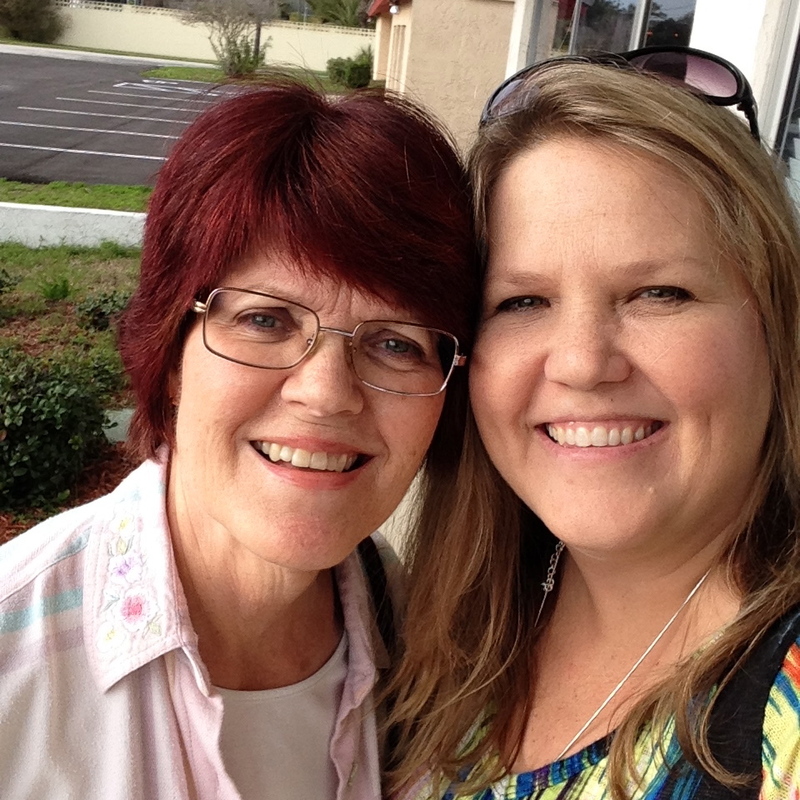 (Darlene Winters) It was a pleasure to meet and have lunch with her and her friend Jane. Just an all around wonderful day. Come visit if you get a chance. Gelli printing is more fun and nearly impossible to stop! It was a wonderful class, with a great friend and so much fun!! It was a great day and I appreciate you coming to join me! It was such a pleasure to meet you in person! !